For more than 10 years, Bansko is among the most popular ski destinations. The ski season in Bansko begins in the middle of the month of December and continues until the end of the month of March (the middle of April if the weather conditions allow it). The average temperature at the resort during the season is from -1 to +6 degrees. Bansko has excellent tracks both for beginners and advanced skiers as well as for professionals. 35% of the terrains are suitable for beginner skiers and snowboarders. 40% of the terrains are suitable for intermediate skiers and snowboarders. 25% of the terrains are suitable for advanced skiers and snowboarders and professionals. The tracks and lifts are well maintained and secured. The most suitable hours for skiing and snowboarding are before noon. The working hours of all lifts and drags is from 8:30 AM until 4:30 PM. There is also an option for night skiing or snowboarding. Bansko offers big untouched terrains for the fans of freeride. Suitable terrains can be found if you climb with the chair lift to the Todorka hill. If you have decided to cross the border and enter such an adventure, do not forget to bring suitable equipment with you, medicine chest, an avalanche transceiver, a drill and a shovel. Some of the best ski schools in the region offer such service and experienced guides – take advantage of them and never go in the mountain alone. Bansko has an extremely good ski and snowboard park – free style. Fun park is the only adventure park of the renowned chain Burton Fun Park in the entire Eastern Europe. You would be surprised by the amazing selection of turns, rails and jumps – even the biggest fans of the New school will be delighted. 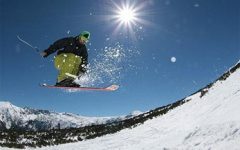 Bansko is the perfect place for beginners in the winter sports. The ration price-quality is good and exceeds tourists’ expectations. Hence, Bansko is often a preferred destination even before a big part of the renowned European resorts.